Hello everyone! I hope your week is off to a great start. I'm going to link up with Stacy for some Random Thoughts! I'm getting close to 2,000 posts! Pretty exciting, huh? 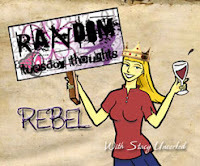 Not really, considering I started this blog in December of 2005, a little over 12 years ago. Actually, I guess it's not too bad. It's an average of 3 point something per week. Stay tuned, though. I have something special planned for 2K! A potato chip commercial just came on. 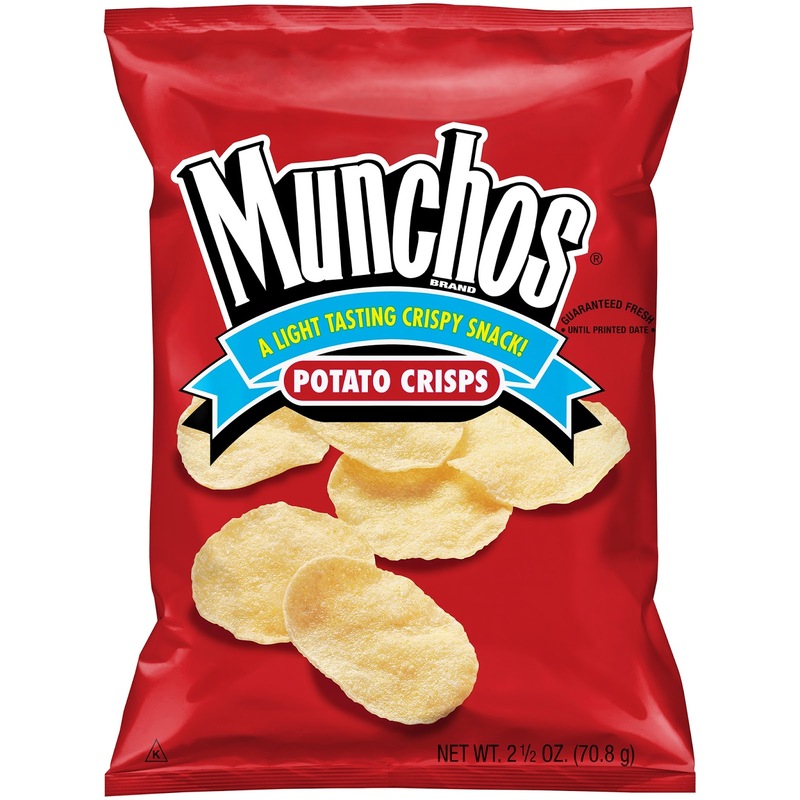 What kind of potato chips do you like best? 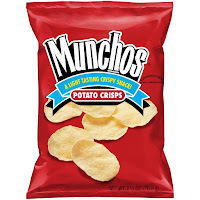 I like Lay's Sour Cream and Onion, Cheetohs, and Doritos, but my favorite car-trip-chip is... drumroll please... Munchos! They make the best snack for car rides, except for the fact that I can eat them all by myself, depending on how long my drive is. I'm not even sure they're made from real potatoes. Haha! But they're potato-like, and salty. The only problem is if I'm the one doing the driving, it leaves a greasy residue, so I have to wipe my fingers between every bite. Oh, the sacrifices I make! Did any of you watch the Grammy's? I'm not a huge music fan (GASP! ), so I don't usually watch, and I'm really glad I didn't watch last night because I heard it got political. Something similar happened at the Golden Globes recently. Why does that have to happen? Can't we just enjoy our awards ceremonies and our celebrations of movies, music, and shows? I get enough politics elsewhere! I did watch Bruno Mars perform. He is really talented. He reminds me of Michael Jackson back in the day. Does anyone else see that connection? That cat meme totally made me laugh. I agree with you about the awards shows. I get politics and everything else that comes with it from almost everything else. Don't need it in the awards shows too. 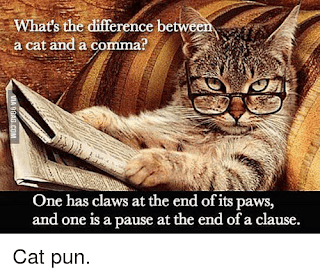 That meme made the English major laugh, and i hope you have a wonderful day! 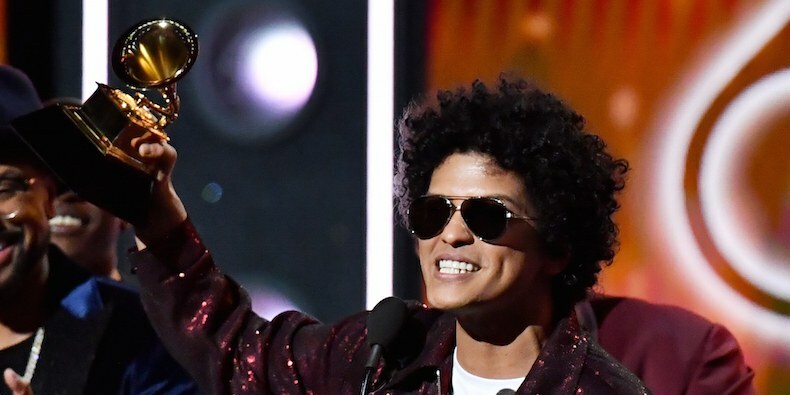 I do love Bruno Mars - and I read that he tried out for American Idol before he became famous - but they turned him down as a contestant, because he was too much like Michael Jackson. I know, right?! !